I've had a growing interest in my Business Basics for Freelancers Class! The next one will be held once again at Anyone Comics in Crown Heights, Brooklyn. It's coming up soon - Sunday July 15, from 2-5p. 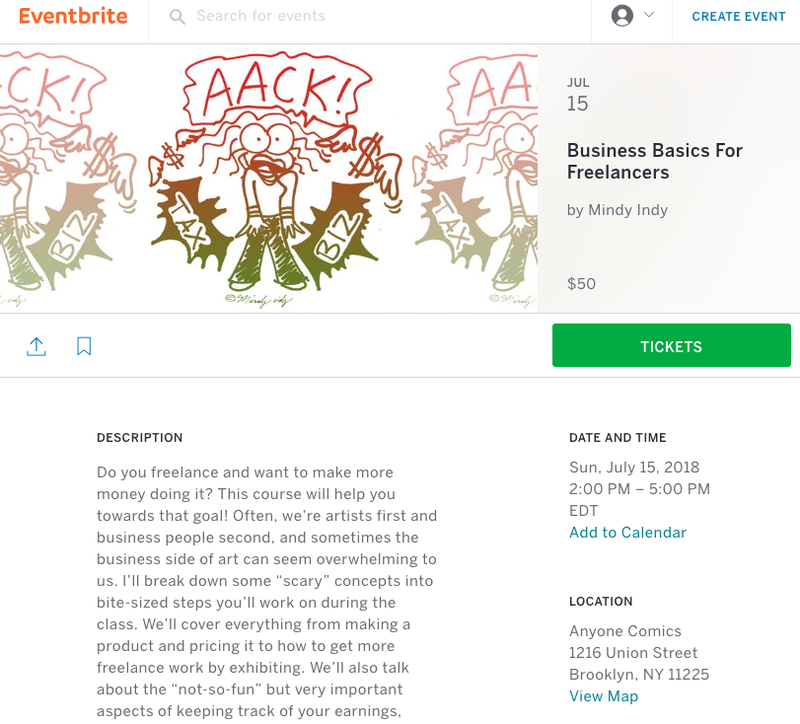 Register here at Eventbrite: https://www.eventbrite.com/e/business-basics-for-freelancers-tickets-47556957139 Tickets are $50 if you get them online or $55 at the door. As for everyone I met at Motor City Comic Con who's interested in the class, I am going to make an online course in the future. Thank you for your patience! I've already accomplished a lot since going FULL FREELANCE a week ago, but I'm still only one person. New to this & future courses is that I'll talk about different forms of scheduling & prioritizing as a part-time freelancer VS full-time freelancer. I'm amazed at the changes I've been able to make in only one week... like checking off things on my TO DO list that have been on there for months. I don't know why I geek out about stuff like this... it's really bizarre... but I'm glad to be helping people get better at freelancing! Hope you can make it to the next class, and have a happy 4th of July!